Since I bought a Raspberry Pi, I'm looking for a sample project but as Java developer I needed to install some stuff to first. I figure out few issues and then decided to share it first at Devoxx France where I'm going to give a 30 minutes speech. So let's move on and begin with the Raspberry Pi. For those who don't know about it, it's a credit card sized computer created by the Raspberry Pi foundation in order to help organization (like schools) to teach computer programming to kids. In the second version (model B), the ram has been enhanced to 256Mo, one USB port has been added so as Ethernet (10/100) connector. 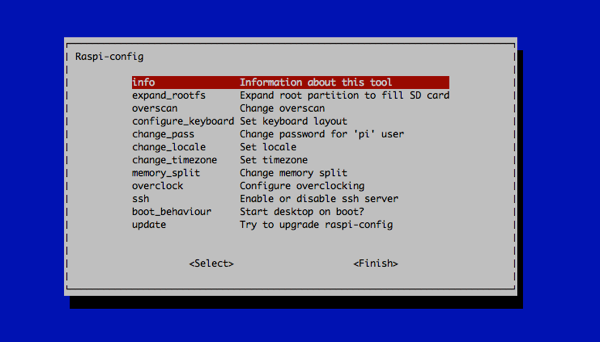 Because I'm not a linux expert, I didn't want to go far from the trenches, I choose to install Raspbian - a Debian modified to fit to the Raspberry Pi. The installation is really simple, insert the SD card into your computer, format it in FAT32 and with an image writer (Win32DiskImager on Windows, PiWriter on OSX and ImageWriter on Linux). I first decided to use the Soft float point version - to use the OpenJDK JVM version later - but I don't know why, it didn't reboot (after having unplugged it from the power supply). I don't have this issue with the Hard Float point version. Next step ? Insert the SD card into the Raspberry Pi, plug a keyboard, a screen (both are mandatory at least for the first boot) and the power supply. This tool lets you configure the keyboard, the locale the default user, etc. To be able to use the complete capacity for your SD card, you have to run the "expand_rootfs" tool. I also suggest to enable the SSH server so you won't need the screen and the keyboard. Once you have finished this part you'll have to reboot the Raspberry Pi and you are ready to rock and roll. Last thing that can be useful, the default user is called "pi" and his password is "raspberry".